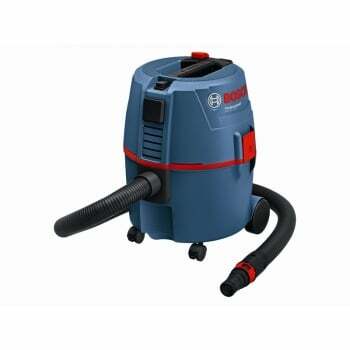 The Bosch GAS20L Wet & Dry Vacuum Cleaner is a small, handy and lightweight vacuum cleaner designed for on site use. Integrated blowing function for quick and easy drying, e.g. Paints or other fluids that dry easily. 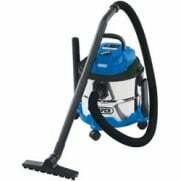 Easy filter cleaning thanks to semi-automatic filter cleaning system. 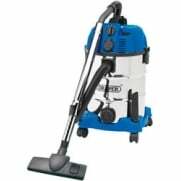 Suitable for dusts with MAK values > 1 mg/m2 and dust class L according to European standard. Integrated accessories holders directly on the top part of the extractor, and practical cable and hose holder. Max Ventilating Pressure: 215 mbar. Capacity: Wet: 16 Litres, Dry: 20 Litres. Dust Bag Volume: 6.7 Litres.